'You can't teach an old dog new tricks' is thankfully not true! 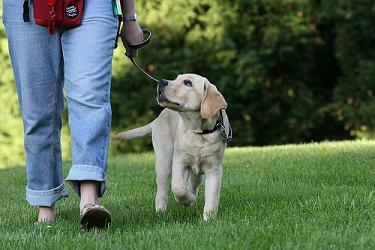 Older dogs can be very receptive to training when we find what motivates them and makes them tick. Dogs taking our basic manners course benefit from learning in a 121 environment rather than a group class. Week 1 - A Dog Free Orientation Session - introduces to you how dogs learn, typical dog behaviour problems and how they can be prevented and sets up your expectations for the course ahead. Week 2 - Meet & Greet Session - works on teaching your dog how to greet other dogs and people nicely. Week 3 - Home/Office Session - teaches your dog food manners and how to chill out in the home to help make living with your dog much easier. Week 4 - Neighbourhood Walk Session - works on teaching your dog how to go for a nice, relaxing walk, without pulling and being silly and also how to be good off lead. Week 5 - Company for Coffee Session - teaches your dog how to behave when guests come over. Week 6 - Trip to the Park Session - here we work on teaching your dog how to behave when off lead at the park. £120 per Dog - this gives you 6 weeks of training. The course needs to be paid for in full advance and all 6 sessions booked as a block at the point of booking - though you can choose a different day and time each week.